Doing hands-on activities with children is the best way to get them exploring the world around them and thinking like future scientists and engineers. However, many parents lack confidence in doing science with their children, compared with reading, writing or drawing. 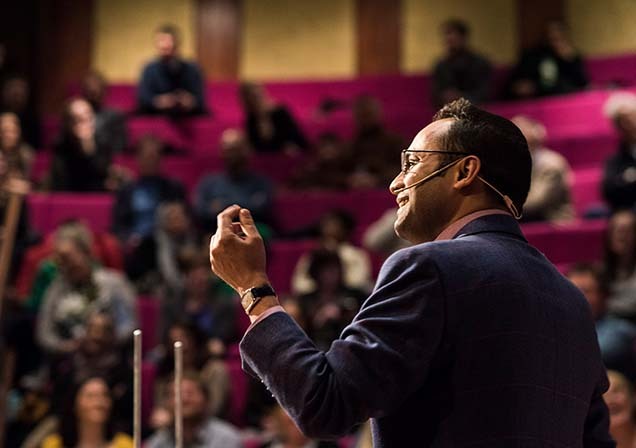 Teacher and author of Mr Shaha’s Recipes for Wonder, Alom Shaha will show how every child can be a scientist even if parents donʼt have all the answers! 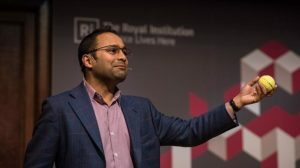 As well as offering practical advice on how to teach science, Alom uses storytelling, demonstrations, and audience participation, and brings together ideas from the physical and social sciences, to deliver a compelling message about why every parent should be their child’s first science teacher. Scroll down to read reviews of the talk. The talk is aimed at adults but Alom can offer a workshop or “family fun day” version for families which includes a demonstration show as well as time to try out some science activities. You can read a review from a dad by clicking here. For fees and other details, click here. Wonderful talk by @alomshaha on science, teaching and parenting. Inspiring stuff. How can the nation get more inspiring science teachers into the profession, Alom? It was brilliant. And perfectly pitched (on second cutting of the straw anyway). Cracking talk from @alomshaha #RecipesforWonder. 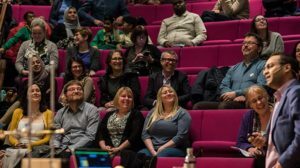 On asking the right questions, being a ‘wondersmith’, and the power of scientific literacy to combat inequality.